Rhubarb. Do people either love it or hate it? Have most people even tried it? Among those who have tried rhubarb, has it only been in pie combined with strawberries? As spring emerges each year, let’s face it, there are hardly masses of folks expressing their excitement for the appearance of rhubarb at the local market. I don’t see a big glut of creative preparations for rhubarb, or chefs using it in a diverse variety of ways. Some recent years, I’ve had to search out the spring rhubarb as it no longer seems as readily available. My eighty-nine year old Aunt Betty recollects rhubarb as the spring vegetable annually purchased upon its first appearance at the farmers market, then prepared and consumed almost for medicinal purposes, that was, to clear the lungs after a long winter. She hated it. 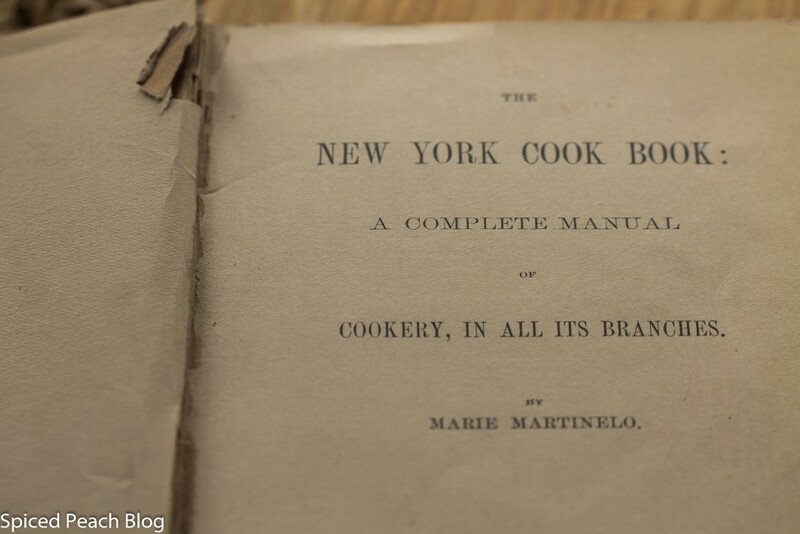 Last Christmas my friend Frani gave me an original 1890 copy of “The New York Cook Book” “A Complete Manual of Cookery, In All Its Branches” by Marie Martinelo. As with many earlier date cookbooks, designated sections for individual fruits was uncommon, instead, fruits were mostly tied into recipes for preserving, beverages, and cake and pie baking, with chapter focuses on other more pressing chores of the day, such as making butter, cheese, maximizing household hints, and preparations for the sick. There appears no mention of rhubarb in this book, nor in the reprint of “The Original Fannie Farmer 1896 Cookbook” leading me to believe that rhubarb has never held a place, at least in the United States, as a favored fruit, and especially compared to its correlated pie friend, the strawberry. Somewhat confirming this notion, the 1972 print of “James Beard’s American Cookery” where fruit does have its own designated section, rhubarb is included. However, Beard then describes rhubarb as “coming into general use,” “although I would not describe it as a champion among spring fruit.” He writes. The statement was in response to the paragraph above where a Miss Leslie indicates that “Rhubarb is held in poor esteem by some of the early cooking authorities.” Miss Leslie also says “it is by no means as good as gooseberries.” Hmm. On the other hand, I don’t tend to see lots of gooseberries gracing markets in mid-to-late spring these days either. Still, I love rhubarb and always look forward to its appearance at the market each spring, baking and separating the cooked, tart rosy colored fruit into small batches, freezing some for later use. Baked rhubarb can be used in pies, spread on toast, or enjoyed with afternoon tea or as an Hors d’ Oeuvre as prepared today, Baked Rhubarb on Fried Polenta Rounds. After photographing the crispy stuffed pink rounds, I lined them up on a white rectangular tray set on the counter for snacking. OK, I admit it, with just a bit of mischievous pranking in mind, as my 9 year old my grandson, the J-Dude, is into this sort of thing these days. So I figured he and the posse would come through after school thinking these were cookies and have a bite. They did. But they didn’t end up in the waste basket, they loved them. Later on, upon her arrival home from Baltimore for the weekend, my youngest, Alex the Athlete, snapped up a few and loved them too. Does this prove that people might like rhubarb more if they didn’t know what it was, or, if it were served with a complementary companion, such as polenta, or, if even served more frequently as James Beard’s suggested “coming into general use?” I did use a couple of good sprinklings of coarse kosher salt as a topping finish, plain polenta being what it is, or perhaps I infer that in defense of the bold burst of sweetened sour rhubarb that I really favor, and that although perhaps not the “champion of spring fruit,” rhubarb remains as one spring fruit I continue to hold in high esteem. Preheat oven to 350 degrees. In a medium sized glass baking dish stir together the rhubarb, water, sugar and salt, cover with aluminum foil and bake until tender for around thirty minutes. Cool, refrigerate until assembly. Prepare quick cook polenta according to package instructions (add salt) then spread evenly across a baking sheet, cool to room temperature, cover with plastic wrap and refrigerate for at least an hour. Using a round cookie cutter indent circles into the firmed polenta. Before frying, using a baby size spoon, scoop a small indent into the center of each polenta round for later filling. Prepare deep fryer with canola or peanut oil, or alternatively coat the bottom of a large nonstick pan for lighter frying. Fry polenta circles on both sides until golden brown, fill with a spoonful of baked rhubarb and sprinkle over with a pinch of kosher salt. This entry was posted in Appetizers and tagged Baked Rhubarb, Baked Rhubarb on Fried Polenta, Baked Rhubarb on Fried Polenta Rounds, Fried Polenta, Rhubarb. Bookmark the permalink. Post a comment or leave a trackback: Trackback URL. 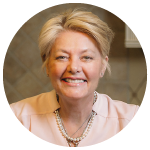 Peggy, you probably know that we love rhubarb around these parts and I always prepare a lot of different dishes with this wonderful spring vegetable – as children we would dip the rhubarb stalks into sugar and munch on them. Nowadays I am a bit more creative. Your recipe for rhubarb on fried polenta looks like a wonderful springtime dish to prepare with these wonderful stalks. Hope you had a wonderful Mother´s Day! Hi Kelly, thanks so much. 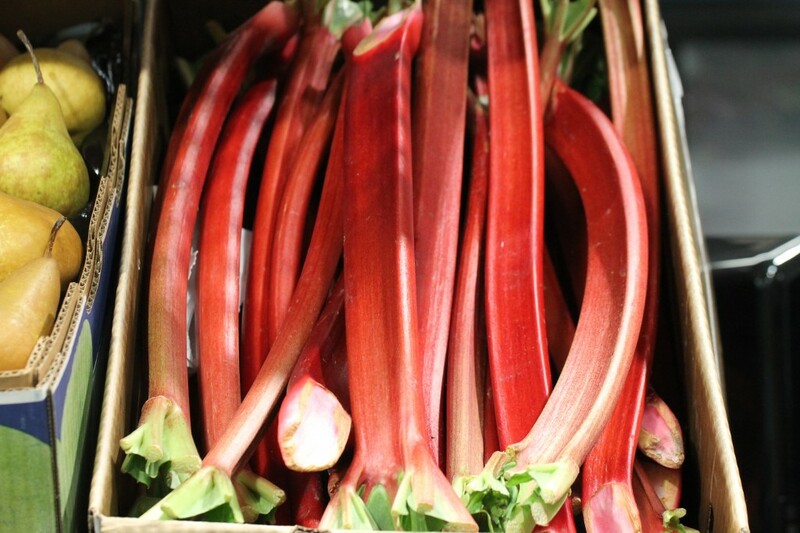 Rhubarb is a bit tart but can be tamed with a bit of additional sugar. 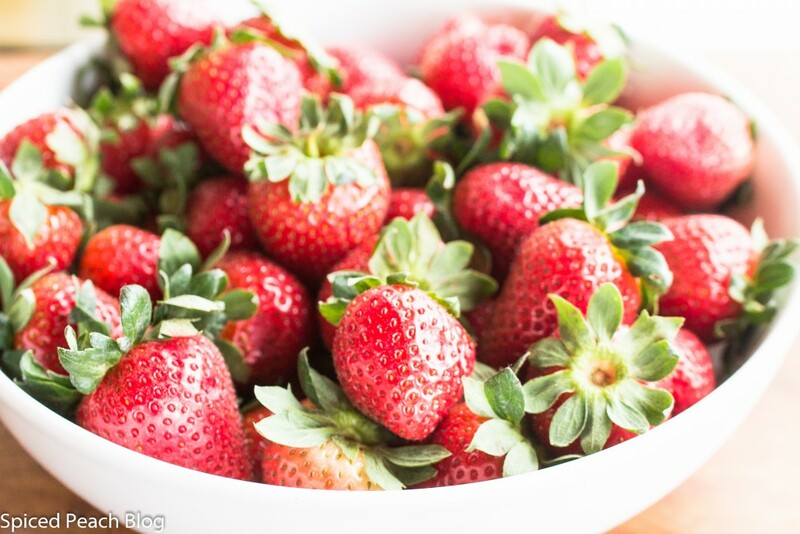 I do love its flavor and as well it really is nice combined with strawberries too. Hope you’ll give it another try, it freezes well, and its even nice on a grain toast too. See you soon. 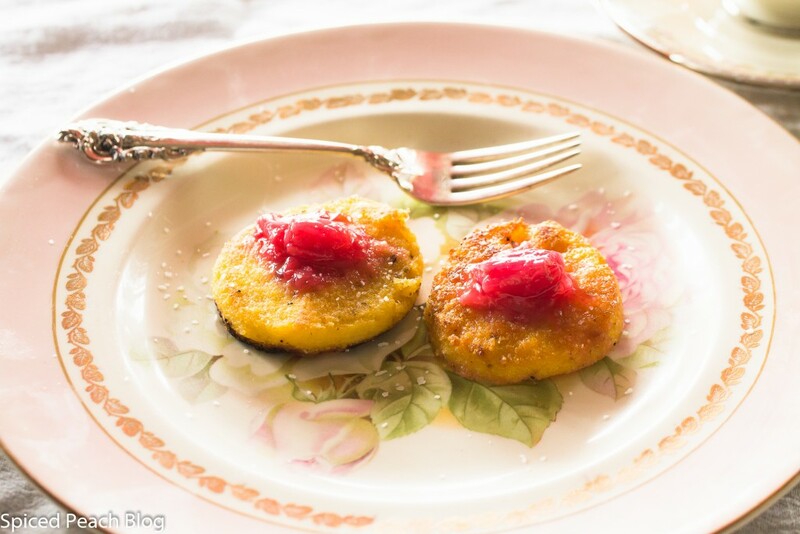 Baked Rhubarb on Fried Polenta Rounds. 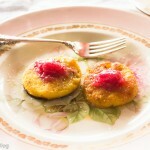 I really like polenta but I don’t honestly think I’ver ever eaten rhubarb! I’ll have to remember to try it one day. Phil recently posted…Rocking out with Slash at Terminal 5 in NYC! Hi Phil, thanks, its a nice little snack, so now you can give the rhubarb a try if you have the opportunity!